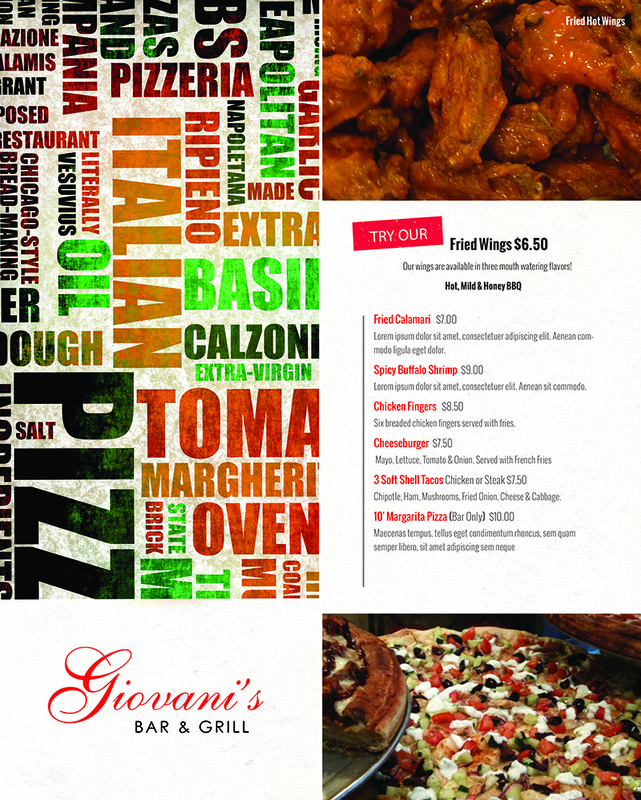 Bar menu for the all new and redesigned Giovani’s Bar and Grill located at 1533 Chestnut Street in the heart of Center City Philadelphia is now open to the public. Known for our Pizza, Falafel’s, Cheese steaks, Catering, Vegetarian and Mediterranean Menus we’ve added on a new state of the art fully stocked sports bar to the Restaurant. With such pristine decor, Giovani’s idea of adding 7 high def TV’s and alcoholic beverages of your choice has upgraded your experience with a sense of comfort. Honestly, who doesn’t like Pizza and Beer? Our everyday Happy Hour Specials from 5-7pm also gives you $2 off any drink you desire for a great after work cocktail. Whether Eat In or Take Out our extensive menu will suit any cravings you may have. Private and Holiday Parties are always welcomed! 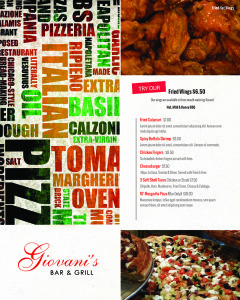 Stop by Giovani’s Bar and Grill for ultimate Bar & Grill experience!